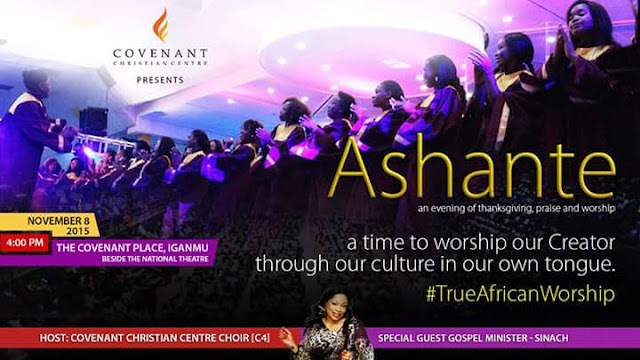 Covenant Christian Centre presents another edition of its African Praise Worship, Ashante. Ashante is an evening of thanksgiving, praise and worship. This edition will be featuring award wining Gospel Minister, Sinach. This event will take place at the Covenant Place Iganmu. Date is 8th November 2015 and the time is 4.00p.m.